Crock-Pot 2-Quart Slow Cooker Just $8.49! Down From $18! 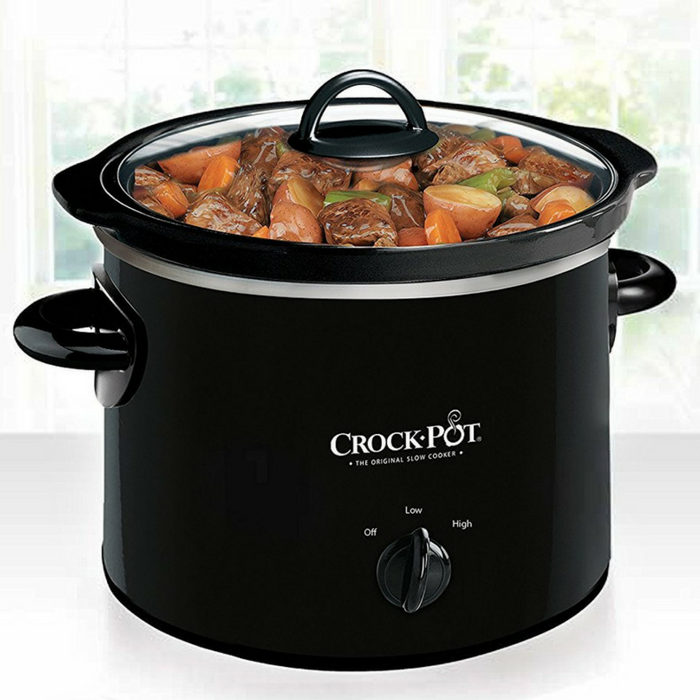 You are here: Home / Great Deals / Amazon Deals / Crock-Pot 2-Quart Slow Cooker Just $8.49! Down From $18! Amazon has this Crock-Pot 2-Quart Slow Cooker on sale for just $8.49 down from $17.99 PLUS FREE shipping with Amazon Prime or for orders $25 and above! This Crock-Pot 2-Quart Round Manual Slow Cooker provides you with the flexibility to prepare a meal early and then have it slow-cook all day, so you can come home to a nutritious, home-cooked meal in the evening. It’s a healthier, more cost-efficient and convenient way to cook.